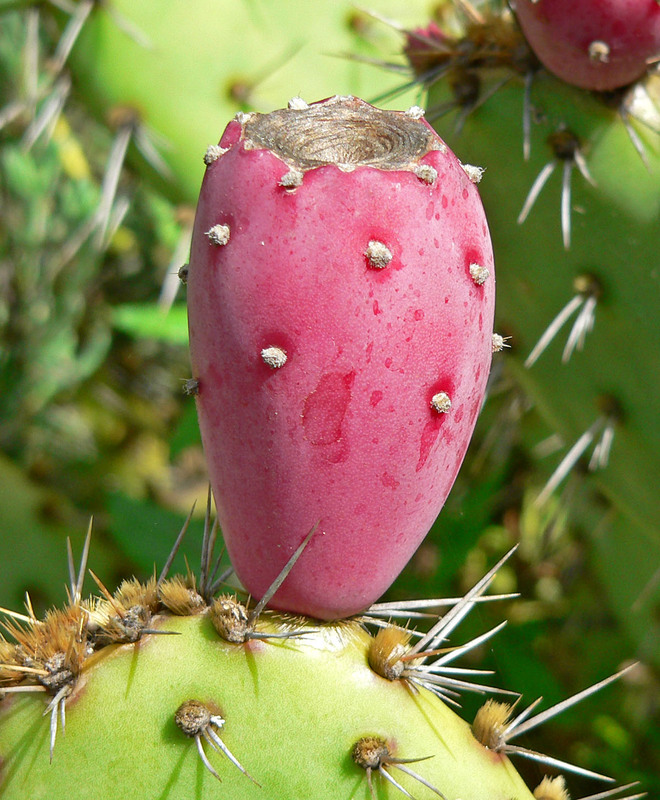 The coastal prickly pear is a native of northern Baja California and southern California. 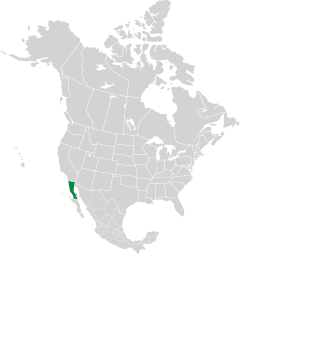 It is a common sight in the Laguna Beach area. 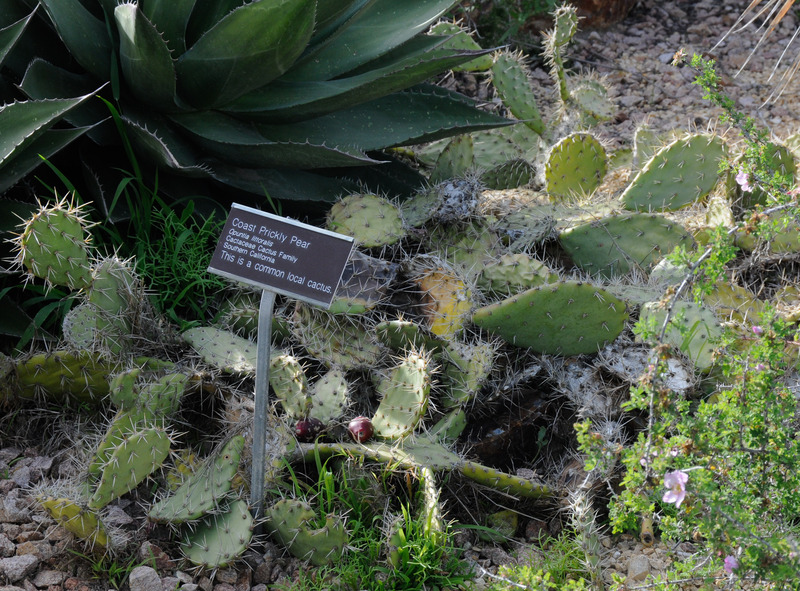 Identification: These cacti are low 12-24" (30-60 cm) and shrublike, and have some long, rigid spines, as well as short, hairlike spines called glochids. It is the short ones, which detach easily, that can be painful and difficult to remove. 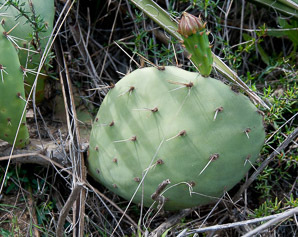 Stem segments are roughly oval in shape, 2½-12" (7-30 cm) × 1¾-4" (5-10 cm). Flowers are yellow or orange-yellow, sometimes with some red, sometimes red or shades of purple. 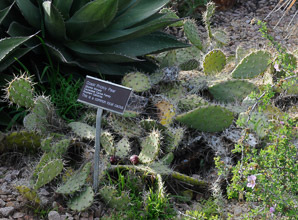 See this Opuntia comparison table. Coastal prickly pear fruit, from the Regional Parks Botanic Garden, Berkeley, CA. By Stan Shebs. 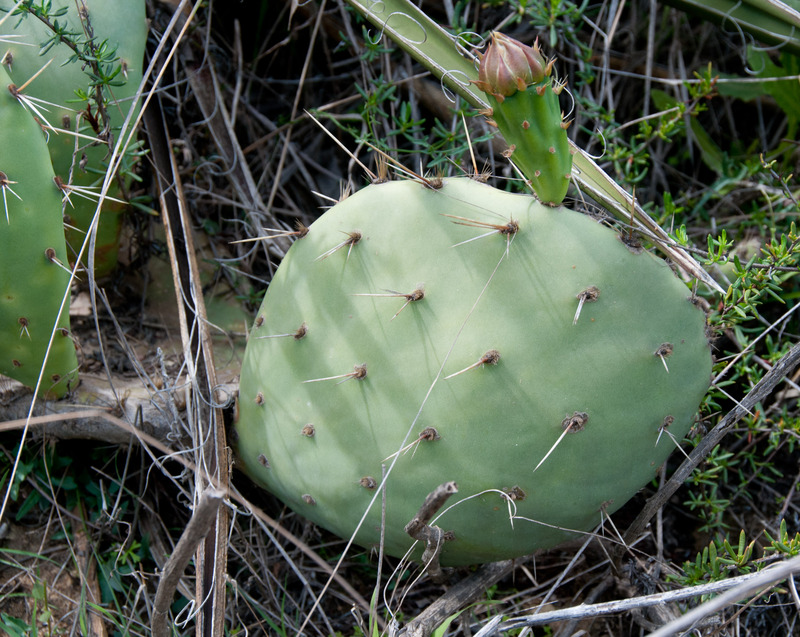 Opuntia littoralis description by Thomas H. Kent, last updated 2 Jan 2019.